Months after President Donald Trump first designated the opioid epidemic as a public health emergency and weeks after Congress announced $6 billion in new funding for states to battle the problem, the House of Representatives will kick off its first big policy effort to manage the crisis. On Wednesday in the first of three scheduled hearings, the House Energy and Commerce Committee's Health Subcommittee will examine a packet of bills that focus more on enforcement than treatment. The legislation emerging from these hearings will likely be this Congress' final substantive health policy push before the 2018 midterm elections. On the prevention side, providers would be mandated to fulfill 12 hours of continuing education every three years on best practices for prescribing opioids and early detection of abuse, as well as the treatment of addicted patients. Another bill would let pharmacists refuse to fill opioid prescriptions they suspect to be fraudulent, forged or sought by addicts or traffickers. One bill would upgrade fentanyl to the most-dangerous category, or schedule, under the Controlled Substances Act and tweak the controlled substance scheduling guidelines to include other synthetic drugs entering the market. Two measures expand the role of telehealth in opioid-addiction treatment: One would allow providers to prescribe emergency medications for overdoses and the other would qualify rural community mental health and addiction treatment centers for the telemedicine waiver that hospitals and state-licensed clinics now qualify for. 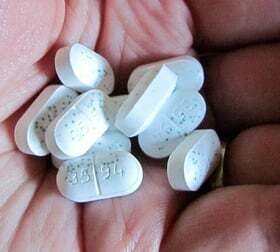 Lawmakers are also considering bills that would up the ante on opioid disposal and grant the Drug Enforcement Administration new authority to inspect and monitor machines that make tablets and capsules in an effort to stem opioid trafficking. The hearings are all part of what committee aides call an aggressive policy push on the opioid issue that is being conducted in tandem with the Energy and Commerce oversight subcommittee, which is looking into reports of alleged pill-dumping as well as so-called "patient-brokering." Patient brokers use fraudulent insurance claims to fund phony sober homes for patients seeking addiction treatment. Health Subcommittee Chairman Michael Burgess (R-Texas), a physician, framed the legislation through the lens of striking the "right balance between necessary enforcement and patient safety."